Here are a few fresh summer decorating ideas. Don’t skimp on comfort — your guests will thank you. 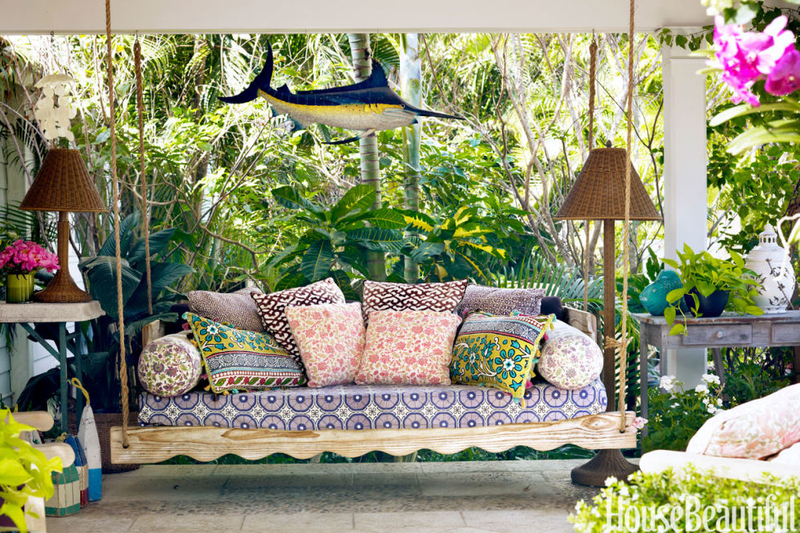 At her Palm Beach house, Liza Pulitzer Calhoun simply covered the swinging daybed with a favorite tablecloth and added a whopping ten pillows for an extra-cozy nook. 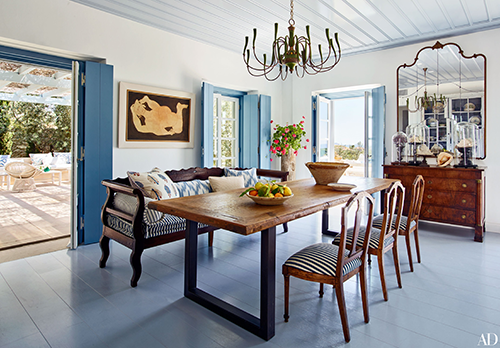 If a black ceiling is too bold, turn to the moldings for a safer pop of color. 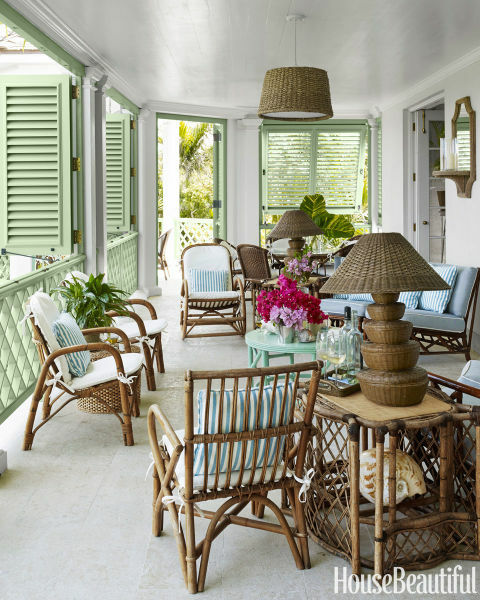 On the veranda of Amanda Lindroth’s Bahamas house, the shutters and railings are painted Southfield Green by Benjamin Moore. 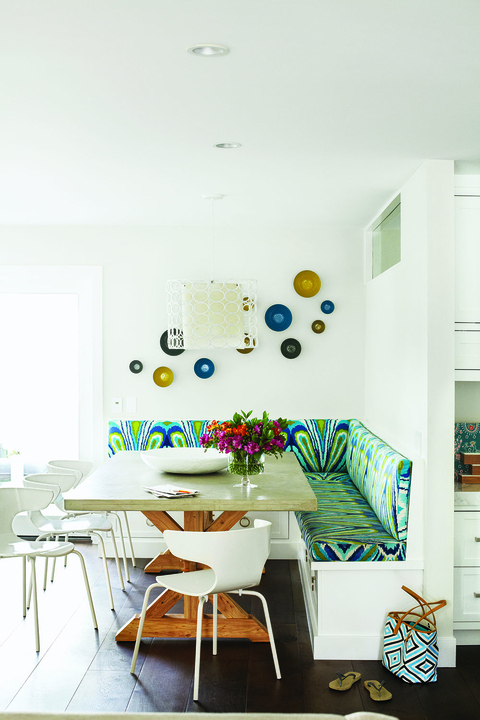 Make a dining room more inviting with a bench instead of chairs. Here, López-Quesada piled a Greek bench with an eclectic mix of patterned pillows created a sense of intimacy. Have any ideas to share? We’d love to hear! Just comment your favorite summer decorating ideas and share with a friend.